Legislative District 20 is located within parts of Phoenix and Glendale. In 2018, Democrats continued improving on their electoral performances coming within striking distance of the districts two state house seats and single senate position. Maricopa County Democratic Party Chair Steve Slugocki feels this LD is poised to “flip” one or more seats in 2020. 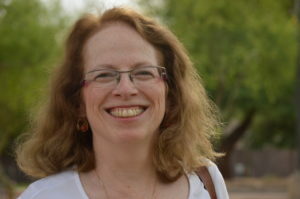 According to Janet Wilson, the LD 20 Party Chair, there are more Independents than Republicans and Democrats in the district. 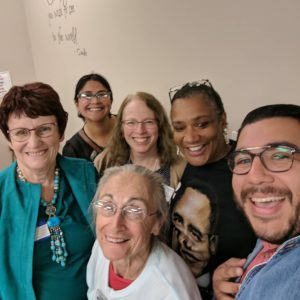 Ms. Wilson graciously spoke with The Blog for Arizona and discussed her LD’s performance last November and the district’s goals for the future and the 2020 election. “We did a fabulous job and made great strides. All the Democratic Candidates were Clean Election Candidates. We picked up 8.2 % in the vote for the LD Senate. We knocked on tens of thousands of doors. Candidates knocked on 30,000 of the doors themselves not including the volunteers like Red for Ed.” Ms. Wilson predicts that the district will flip in 2020 with close margins. “We have already added 13 new PCs to our LD and we are making a more concerted effort in reaching out to volunteers who helped us during the last election cycle. We are promoting a more extensive digital presence and have started broadcasting our meetings through Facebook Live. Our goal is to double the number of PCs from 50 to 100 by 2020. We need to make sure that we have someone in every precinct and making good progress there. We will also promote by word of mouth and email. We will also provide additional training which complements what is provided the county party by partnering with neighboring LD’s (15, 20, 21, 22). In fact, we will have our first PC & Volunteer training session in early March and then we will have a VAN training session later in March. By offering these additional training opportunities, we are demonstrating to our commitment to both current and future PCs which will hopefully grow our base. B) Method for recruiting candidates if the same ones do not run again. “We have a candidate recruitment committee already started in 2019 as we locate candidates for all positions including school board and constable. Democrats won the school board races in the Glendale races. Ms. Wilson is correct that the Electoral College election of Donald Trump partially ignited activism in the Democratic sphere. The behavior and actions of conservative officeholders in national and local offices, even in the aftermath of the Democratic surge in the 2018 elections, also fuel the Democratic appetite to recapture total control of all local and national levers of power. To accomplish the goal of totally retaking control of the government, the work and preparation need to start now at the local level and build upward throughout the county, state, and national party apparatuses. Ms. Wilson and the rest of LD 20 staff and participants are laying the groundwork to move forward to accomplish this end. It appears to be a sound strategy that could result in Democrats winning seats in 2020.